How to watch Petta (Telugu Version) (2019) on Netflix New Zealand! 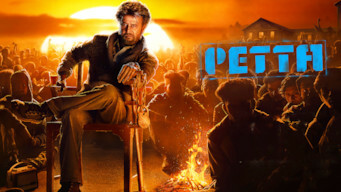 Yes, Petta (Telugu Version) is now available on New Zealand Netflix. It arrived for online streaming on April 13, 2019. We'll keep checking Netflix New Zealand for Petta (Telugu Version), and this page will be updated with any changes. An affable, newly appointed college warden proves to be no ordinary man when an old enemy resurfaces and exposes his complicated, violent past. He’s a breath of fresh air on campus. But he's here for a reason -- and his true story will shock and awe.